This beginner friendly crochet pullover is a perfect layering piece for your little one! 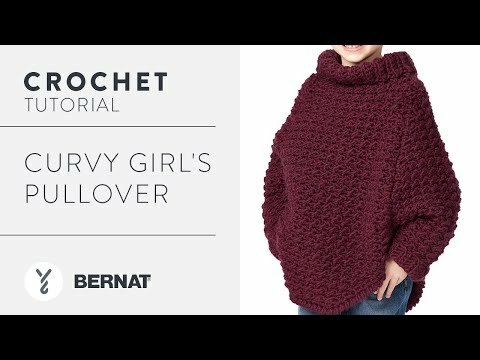 Working a simple crochet stitch and some basic shaping this sweater is great for beginners. Crocheted in super soft Bernat Roving, this easy to care for yarn makes this sweater a staple for winter.